It’s time to take the stress out of big purchases. If you’ve been hunting around for trucks for sale then commit to your decision! Instead of being wary and ultimately opting for a sedan, you should stick to your instinct. After all, there are a variety of good reasons to opt for a pickup truck. Similarly, there are a variety of good reasons to purchase that pickup truck from Carl Black Roswell. We’re sure you’ve always thought about opting for a pickup truck, but you ultimately decided that the body type wasn’t really the most practical choice. Well, while that may have been the case a decade ago, that’s certainly not the case nowadays. That’s because the industry’s engineers have transformed these ride into the ultimate vehicles. Pickup trucks tend to be as safe as they are powerful, and customers no longer have to pay an arm and a leg to afford one of these rides. Take a look for yourself why opting for a truck for sale may be in your best interest. 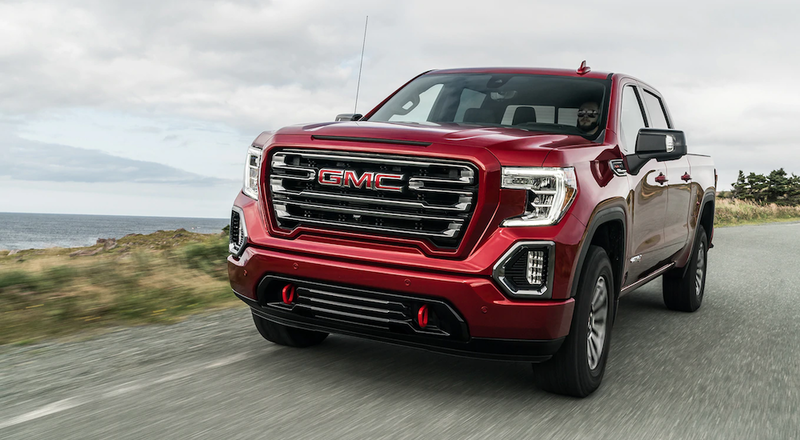 While brands like GMC have done an admirable job of improving the performance of their sedans, it’s still tough for this segment to keep up with the muscle of pickup trucks. This segment is flooded with incredibly powerful options which predictably leads to its fair share of advantages. For starters, a pickup truck makes more sense as a worksite companion than any other body type. You can fill your truck bed with equipment or construction aggregate, allowing you to easily cruise through the worksite without making multiple trips. The powerful engines will also allow you to overcome any unconventional terrain. Additionally, these power specs tend to influence towing capacity, meaning you can easily haul a smaller vehicle as you’re cruising in your new truck. If you’re going to be relying on your vehicle for a worksite, it makes the most sense to opt for a pickup. Thanks to the modern technology that’s now included in many brands’ pickup trucks, these vehicles can also be pursued by general commuters. While comfort used to be an afterthought, it’s now seemingly a priority for engineers. Thanks to all of these high-tech amenities, you can be assured an enjoyable driving experience inside of a pickup truck. Of course, just because pickup truck engines are capable of delivering a whole lot of power, it doesn’t mean you should necessarily expect reduced fuel efficiency. Many of these engines are now equipped with fuel-saving technologies, leading to impressive specs. While you might have to dish out some extra money for a pickup, you’ll be able to realize some extra savings at the gas station. Pickup trucks are known for their power, so these factors probably aren’t much of a surprise. However, it’s important to remember how versatile these vehicles actually are. Speaking of that power, pickup trucks make for great winter riders. Engineers have optimized their vehicles’ mechanics to assure they are more than ready to travel through any types of road conditions. Many pickups will even allow owners to adjust their vehicle’s drivability to adapt to the impending weather, thus reducing the chance of an accident thanks to the optimize handling and traction. All of this pertains to the main point: pickup trucks are incredibly safe, and they’re undoubtedly safer than their sedan counterparts. Consumers may assume occupants are vulnerable traveling in such a small cab, but truck brands like GMC have refined their vehicles so they’re ready for any dangerous situation. Many trucks are equipped with preventative safety functions, which are intended to prevent accidents from occurring altogether. Many trucks are also composed of a high-strength steel, and the material won’t compromise in a devastating crash. Add in the airbags and the emergency response systems (which are included in many pickups), and you’ll be able to stay secure at all times. You’re presumably looking to keep you and your passengers safe. Well, assuming you opt for a pickup truck, you’ll undoubtedly be in good hands. You may be used to seeing commercials for overpriced pickup trucks. That sentiment may be true when it comes to some truck brands, but companies like GMC continually manage to produce a number of affordable options. GMC has consistently had pickup offerings that are priced south of $30,000, and higher-end options like the Sierra 1500 Limited still come in south of $40,000. This brand doesn’t require you to break the bank if you’re in pursuit of a pickup, and that’s especially important if you’re operating on a budget. Furthermore, these vehicles tend to be inexpensive to maintain, which makes budgeting for basic maintenance a breeze. These vehicles have been designed to take a beating, and they won’t be as susceptible to damage as smaller cars. It should now be pretty clear that a pickup truck is the perfect target. Similarly, Carl Black Roswell is the perfect place to make that purchase. Located in Roswell, Georgia, customers will be hard pressed to find a better buying experience elsewhere. Why is that? Well, it goes beyond our inventory as we provide customers with an assortment of useful services. Add in the flexible hours, and you’ll understand why you should be opting for your next pickup truck from Carl Black Roswell. 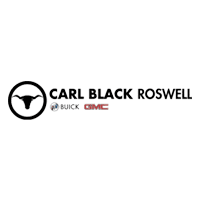 Carl Black Roswell consistently has dozens of new pickups on our lot, and that’s in addition to the 100-plus SUVs that are for sale. The dealership also has an assortment of pre-owned vehicles, thus providing options for customers who are on a budget. We have consistent deals on many of our vehicles, and we’re more than willing to negotiate a trade-in. No matter what you’re seeking and how much money you have to spend, you’ll appreciate your options when you visit Carl Black Roswell. You may be looking for assistance before and after you’ve purchased your pickup truck. Fortunately, Carl Black Roswell is committed to helping you during every step of the journey. Need financing? No matter your credit situation, Carl Black Roswell is here to help. You can apply for financing directly on our website, and our payment calculator allows you to calculate your monthly fees ahead of time. Need repairs? Then look no further than Carl Black Roswell’s service department. Whether you’re looking for hefty repairs or basic maintenance, you can always trust that our technicians will get your pickup truck back to tip-top shape. No one wants to be hindered by an inconvenient, stressful buying experience. Rather, you want the ordeal to be finished as quick as possible, and you don’t want to twist around your schedule in order to complete your purchase. We are open seven days a week and you can easily visit the business after your day at work. The service department is open every day except Sunday, including starting at 7am on weekdays. That way, if you want to stop in before work, you’ll have plenty of time to get your vehicle serviced.